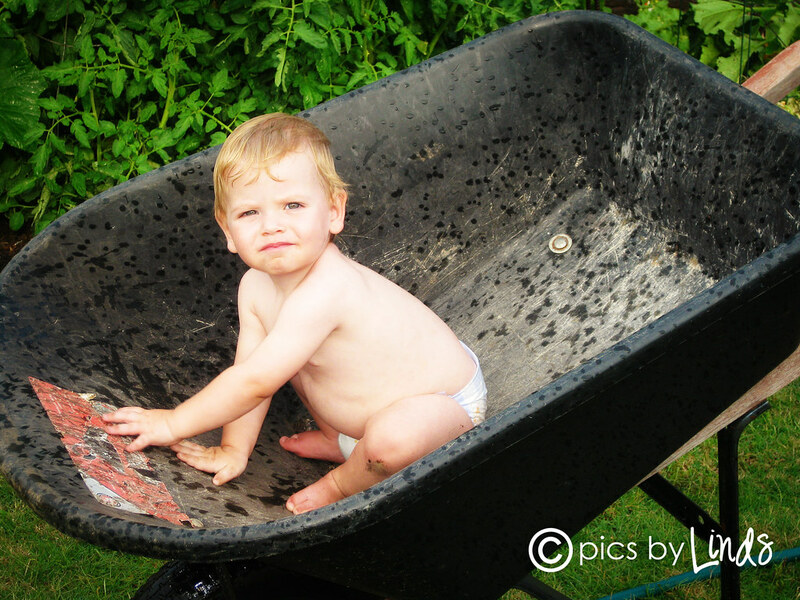 A few days ago Brayden was showing some interest in Drew's wheelbarrow. 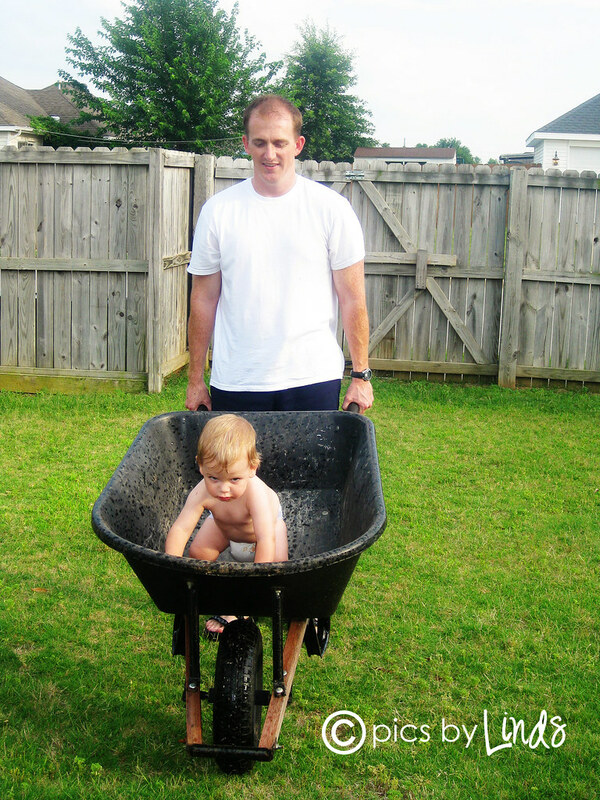 I was too lazy to pull it out, so when he again said "dis" and pointed over to the wheel barrow, I convinced Drew to put him in it for a ride. I thought Brayden would get scared, but he LOVED it. 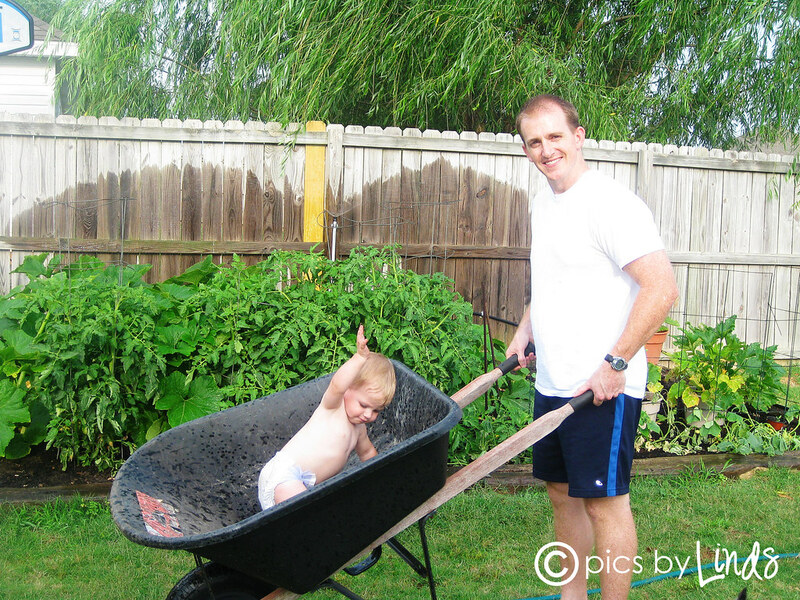 Of course, Drew wanted to show off his luscious garden that he's been working SO hard on. We had our first fruits the other day (zucchini and squash) and it was delicious!